Well I'm not in a much better mood. It was a kinda weird mood weekend. But I do think I'm on the up again. This is gonna be a hard week tho, I think. This is Day One of the Nutritionist's diet. So we did go a little over board this weekend food-wise ... you know, all the things I have to try and steer clear of from now on. Although I don't plan to be too extreme, it's not like I'll never have these things ever again. Just less often. Much less often. 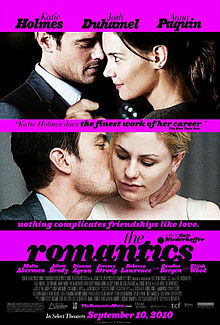 On Friday when I got home from work, I was in a better mood and watched The Romantics. What a pile of rubbish. Although it had a star-studded cast, it was pretty dreary and a huge yawn with no real ending. Give it a skip. Then The Trucker & I headed off to Cnr Cafe for @Toxic_Mouse's girlf's birthday dinner. It was a fun night out and the food was quite nice. I dunno that I'll be rushing back there, but it was nice. I had their Salmon which was tasty, although not quite up there with last week at Licorish. On Saturday The Trucker & I barely saw each other as he was busy with a work crisis (phone calls from super early in the morning & non-stop) and I had a gardener coming to re-do my lawn. The Trucker had the gardeners at his place re-doing his too. So there was plenty of driving around and buying lawn and lawn-dressing and what not. It all got done and I'm very pleased with how it's looking :) Apparently the full effect should be visible in about 2 weeks. I can't wait, my lawn has been so patchy since I moved in! The gardener tells me it's because there was rubble under some areas (he dug out a lot!) and building sand in others that was stopping the grass from growing. So now let's hope it'll be gorgeous grass ahead, I do so love sitting on the grass with the bundles :) Plus I splurged and got evergreen, which is so nice and soft and lush! The Trucker came over later in the afternoon once his garden was also finished and we had a pretty relaxing rest of the Saturday. Decided to make home-made pizza for dinner (since that definitely is not on my eating plan - sob). So delish. It's one of the things we make really well together, where we can both be in the kitchen and each helping prepare without getting in the other's way. 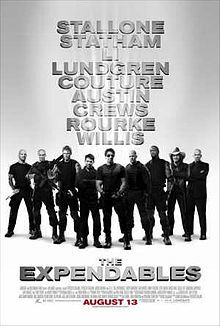 We watched The Expendables, because I had never seen it and he is super keen to go and watch the 2nd one. Meh, another star-studded cast, this one. But I am not at all a Sylvester fan ... his veiny muscles are just yuck. But it wasn't to bad. A bit of good fun if you're not looking for something too deep and meaningful. On Sunday, as part of the Eating Plan preparation, we had breakfast at The Salvation Cafe, my absolute favourite. Yum. Love that Mexican Spinach Burrito Breakfast of theirs. And after that the real fun started. Shopping for this week. Sheesh, it was an expensive venture but at least my fridge is prepared for (mostly) healthy eating. I say mostly because I am hosting Book Club on Wednesday night and we have our first Dinner Club at my house on Saturday evening too. So anyway, yes, I went home and dug up a lot more rubble and planted a few more plants (jasmine outside my bedroom window that I'm most excited about :) )while he gardened at his place. Afterwards (to recover, gardening is hard work!) I watched He's Just Not That Into You. I dunno how that affected my mood, but I had definitely had a bout of crazy-thinking in the morning too. Am feeling unsettled and out of sorts which does not lead to overflowing-with-happy Philly. The movie was very entertaining, I think just because it really struck so many chords. Sheesh, girls and boys are really so ridiculous. And the bizarre part is that we know we are, and we still can't help it. In the evening The Trucker came over with some take-out chicken burgers (another no-no from here on out) and we had a very quiet evening at home while he worked and I watched TV.